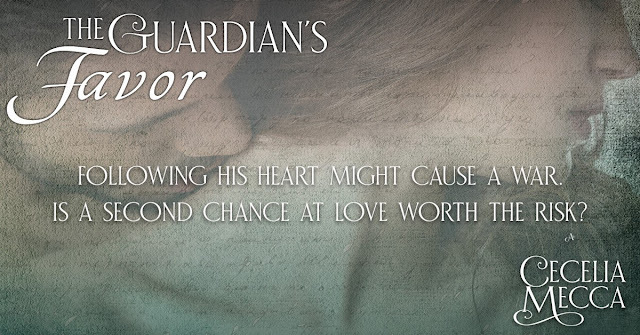 THE GUARDIAN Aidan de Sowlis finds purpose in guarding his family and his clan. He tells himself such a life is enough for him, but cannot dismiss the memory of the woman he wished to wed. Lady Clarissa now belongs to another man—or so he thinks. When the Scottish warden sends Aidan to England to negotiate with the lady’s father, a final effort to secure the peace along the border, he’s shocked to see her. She stops him before he can leave with a simple word: “help.” THE FAVOR Lady Clarissa would rather become a nun than face another arranged marriage—the fate her cruel father will undoubtedly foist on her now that her elderly husband has secured an annulment. She knows Aidan de Sowlis, the man she left, is the last person she should ask for help, yet he’s the only one she trusts. Aidan and Clarissa soon discover their feelings for each other are as strong as ever, but her father would never approve, and his cooperation is crucial for securing peace on the border. Do they dare risk it for love? “You’ve nothing to be embarrassed about, lass. That kiss—”Her eyes flew up and locked with his own. “How did you know?”Aidan chuckled, handing her an oatcake that he’d taken from the leather bag at his feet. “That you were thinking of it?”Clarissa nodded.“I supposed I didn’t. But I’ve thought of little else myself.” He shrugged. “Maybe I hoped the same was true of you.”When her mouth opened and her lips closed down on the oatcake, Aidan wished to trade places with it. He doubted an attacking band of English reivers could have taken his eyes away from her. “I was wrong to have—”“I liked it,” she blurted. “Very much.”Aidan didn’t dare move. He’d already promised himself not to let it happen again. There was simply too much at stake. And yet . . . “As did I, lass.”“I had no idea—”“Clarissa . . .” How could he put this delicately? “If we continue to discuss the matter, I cannot guarantee it won’t happen again.”His heart skipped a beat when she opened her mouth to answer. If she gave him permission . . . But she must have thought better of it because she took another bite of the oatcake instead, following it with a swig of fresh water from the river they’d passed. When a droplet spilled onto her chin, Aidan wiped it off with his thumb. At least, he did so in his mind. In truth, he’d not moved a muscle. “It has been like this, with us, from the start.”He knew she didn’t say it to provoke him. Or to test his earlier warning. She said it because it was the truth. One he would not deny. Those days at the tournament had been enough for him to know her.“Aye, lass. It has.”“Is it normal then? When a man and woman—”“Nay, Clarissa. I have been in the company of many beautiful . . .” That had not come out as intended. Clarissa’s raised eyebrows confirmed his blunder. “It is not,” he finished simply. And when she smiled, the lines of worry that usually marked the corners of her eyes magically turned to lines of mirth. It pleased him to see her smile. She should have been allowed more of them in her short life.He wished to give them to her. 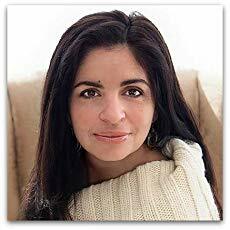 Cecelia Mecca is the author of steamy historical romance that transports readers to the middle ages. A former English teacher, Cecelia combines two of her passions, romance novels and the middle ages, transporting readers to an admittedly romanticized time of knights and castles. Her first series, set along the Anglo-Scottish border in 13th century Northumbria, turned Cecelia from educator to full-time author. Readers love the Border Series for its focus on well-developed characters and their steamy relationships leading to satisfying happily ever afters. Cecelia lives in Northeast, Pennsylvania with her husband and two young children where she can be found either planning a Disney trip, watching period dramas or convincing her children to watch Star Wars. She is firmly House Stark and Gryffindor.